Boil the milk with the scraped vanilla bean and pod. Whisk the sugar, eggs and yolks together really well. Sift together the flour and custard powder then add it to the egg mixture and whisk all together. Add a little of the hot milk to the egg/flour mixture then whisk vigorously before pouring it all back into the casserole. Stir continuously and vigorously until boiliing (when you see the first bubbles). Immediately remove from casserole by pouring over a plastic film and wrap entire pastry cream. * Use 90g of egg yolks if the pastry cream recipe is to fill Eclairs and Religieuses and in the same recipe you will use 100g of butter. The pastry cream heats very quickly in the casserole and if it’s not stirred quickly and evenly it will burn to the bottom of the casserole. 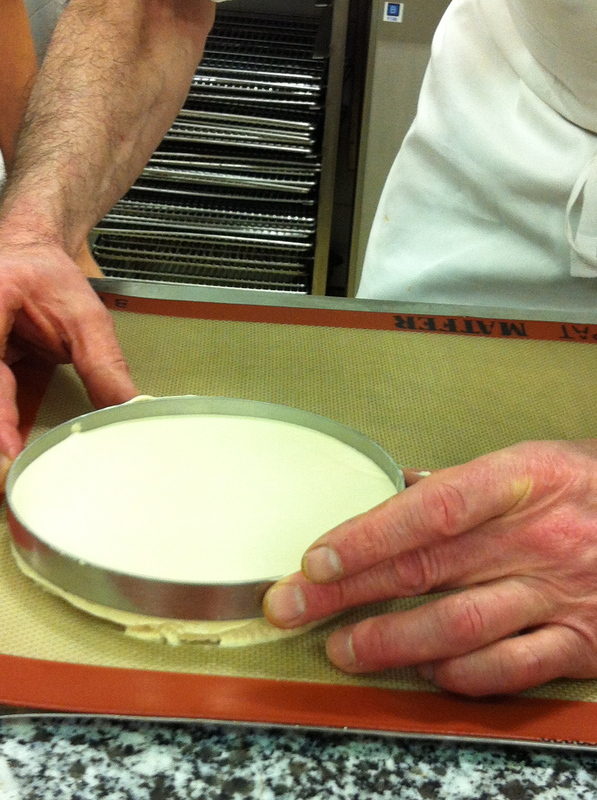 The outcome of your pastry cream should be a thick; a wobbly consistency, not too liquidy. At school we cool the pastry cream in the deep freezer (called KOMA) but you must not forget to remove it! It cools faster in the deep freezer and therefore we’re able to use it in preparations immediately. If you’re at home just in the fridge will do and wait until it’s cool, then when you remove it from the fridge whisk the patisserie creme in a bowl to get a smooth consistency before using it. 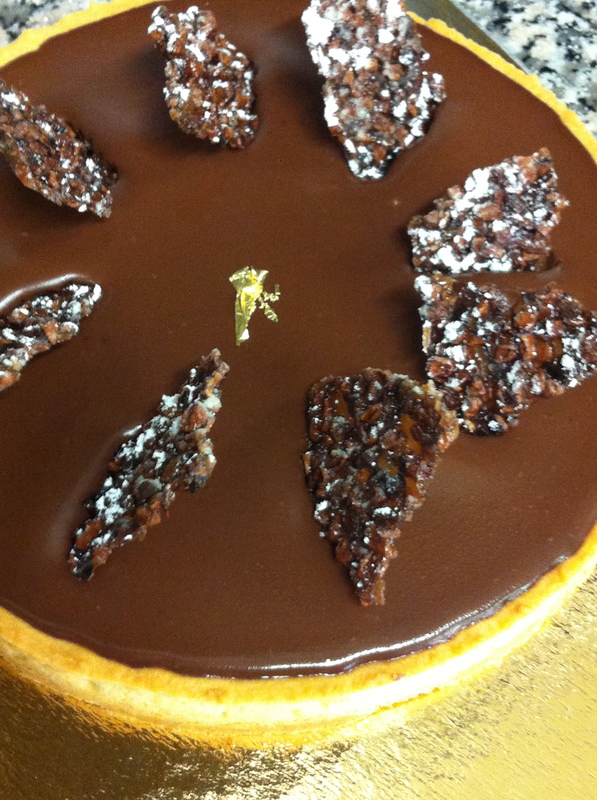 This recipe is from the student class recipe book, Anglo Pastry 2013, created by Chef Patissier, D. Averty of l’ecole FERRANDI . The recipe can be subject to change at the discretion of the Chef. The success of this recipe depends on the quality of ingredients, temperature and quality of appliances, temperature of the kitchen, skill of the student and/or patissier/e and direction of the chef. 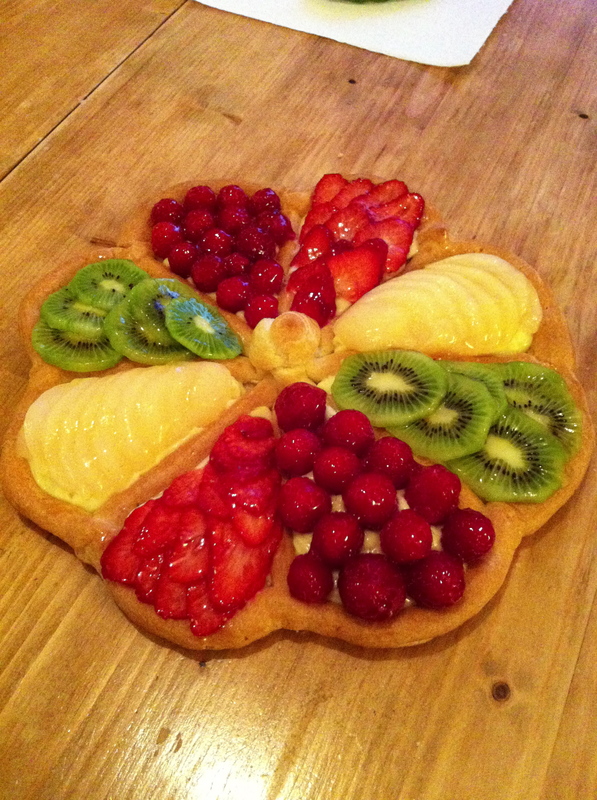 If the first month of our Ferrandi program had to have a name, it would be, The Month of Tarts. 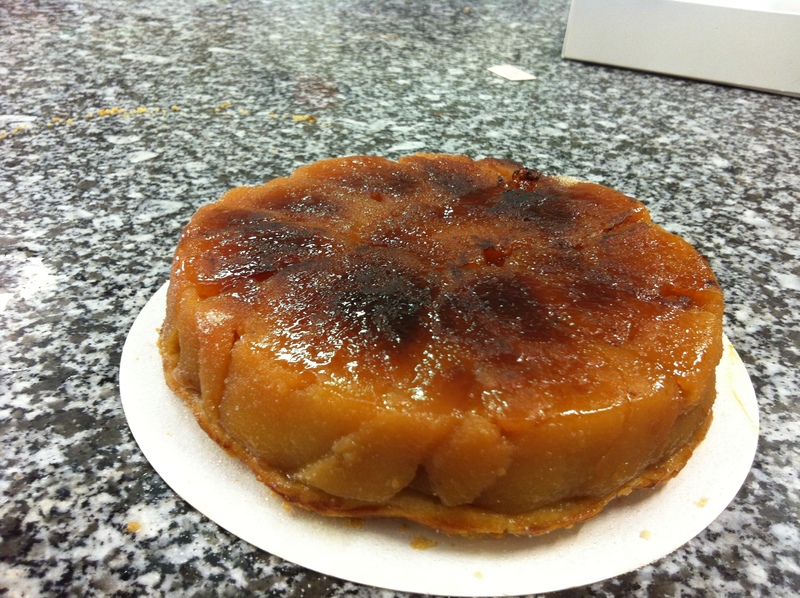 The idea is to practice working with doughs: pâte foncer (short crust dough) pâte sucre (sweet dough) and pâte sabler (sanded dough) – all are the bases for French tarts, and there are many. 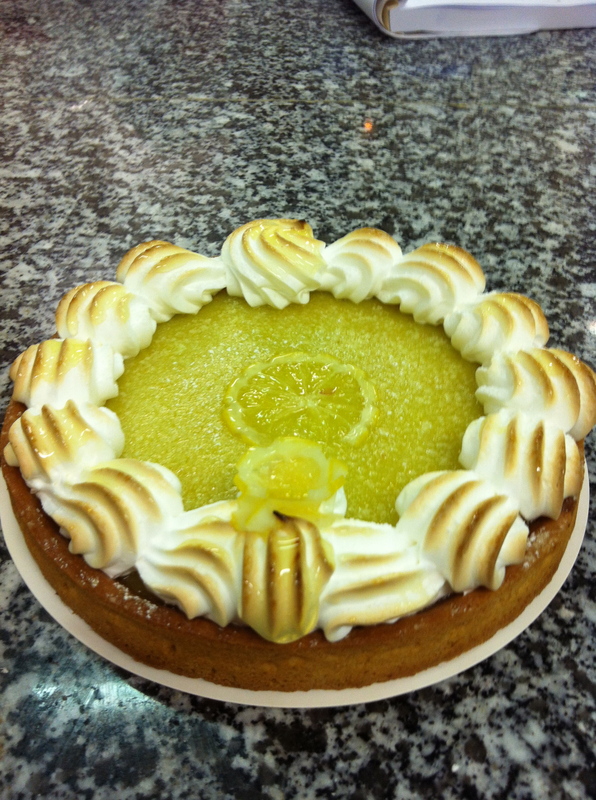 To fill many tarts we use various creams, so we work with either or a combination of: creme amande (almond cream), creme patissiere (pastry cream), creme pistache (pistache cream). The French are famously known for their abundant use of seasonal fruits. Ferrandi ensures all year round supplies of both seasonal and out of season produce (imports), this ensures that students never miss a recipe. To know how to make des tarte francaises you’ve got to know how to make les pâtes. 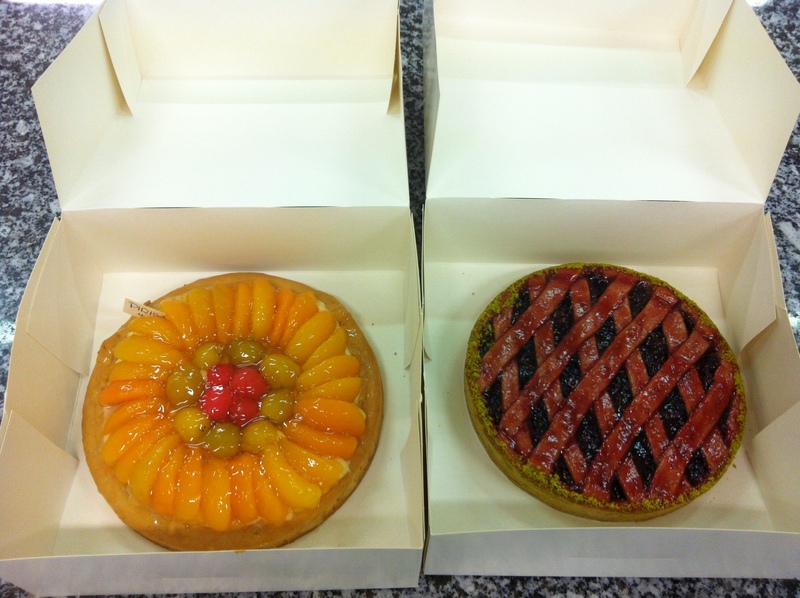 Plus, the doughs are used for viennoiseries and petits gateaux. The dough begins by creaming butter and icing sugar together. Once all ingredients (egg, water) of the dough have come together, a method of fraisage is used. To fraser pastry is to cut parts of the dough with a scrapper and as you do pull or drag it out as if you’re stretching it accumulating each piece into a roll. Then adding those rolls to finally make your complete dough. You’re making a dough with a greater flour to butter ratio (for example, flour 400g/butter 50g). This dough is called a detrempe. The dough is made into a ball – same method of fraisage is used – and you slice an X into it. Refrigerate for no less than 30 minutes. Open the X of the dough, using a rolling pin open up the dough. Your objective is to envelope a block of butter into the detrempe. You will wrap up the butter as if you were wrapping a book. Then you roll out the dough with the butter inside. That’s how the French puff pastry is so flaky and buttery in it’s most basic explanations. This is a greater butter to flour ratio. In this case we make two doughs, the detrempe (greater flour to butter ratio) and the other, manie (greater butter to flour ratio). But this time, the detrempe is enveloped into the manie. This method is famously known for giving the puff pastry superb flakiness, and is the most delicious. Pierre Herme is known for using this method. We will use this dough for most of the puff pastries we do at school, it’s certainly Chefs prefered way, and we can’t disagree on that. The puff pastries are above in the list of Pate Feuilletee. This recipe is not so straight forward. It was a collective effort both students and chef pulled this one together. 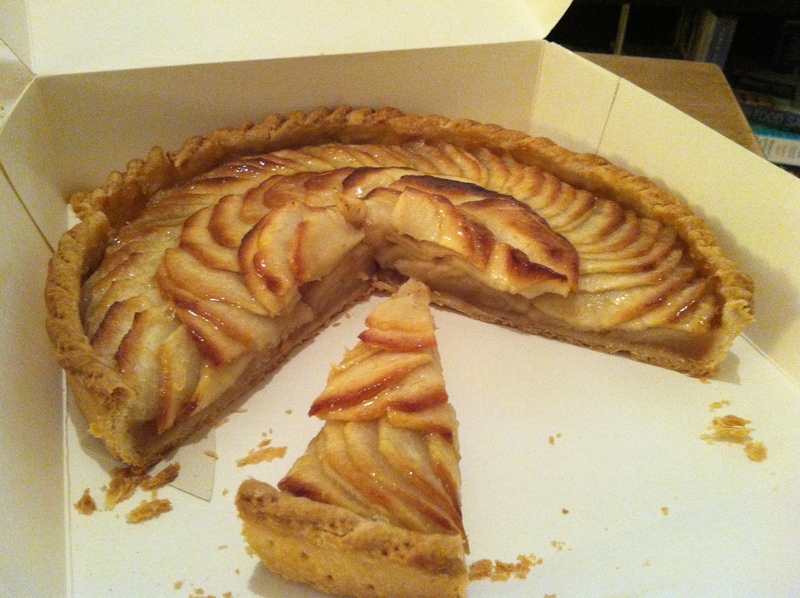 If you’re not so ambitious to make this recipe but you’re envious to taste it you can find this exact tarte, petit and large version at Pierrre Hermé, it’s his recipe or at least a version of it. 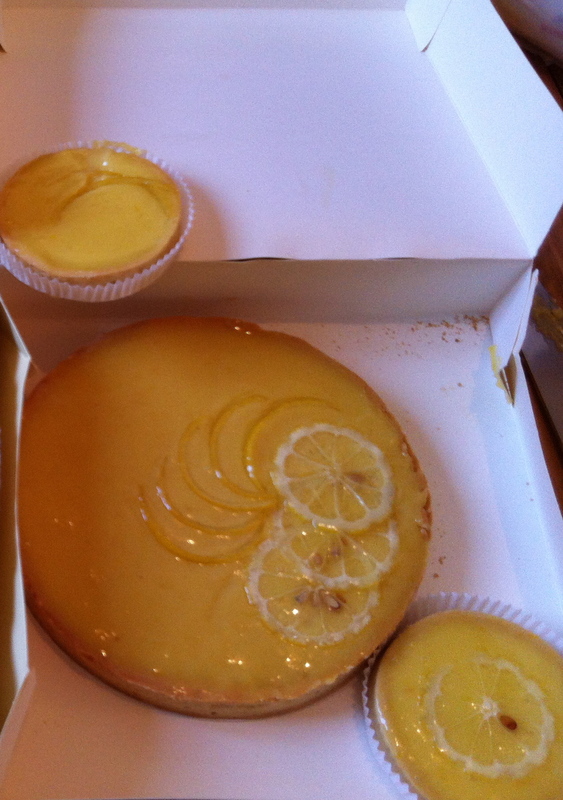 You can also find another version of this tart, the flavour of Infiniment Vanille, from the book Best of Pierre Hermé. 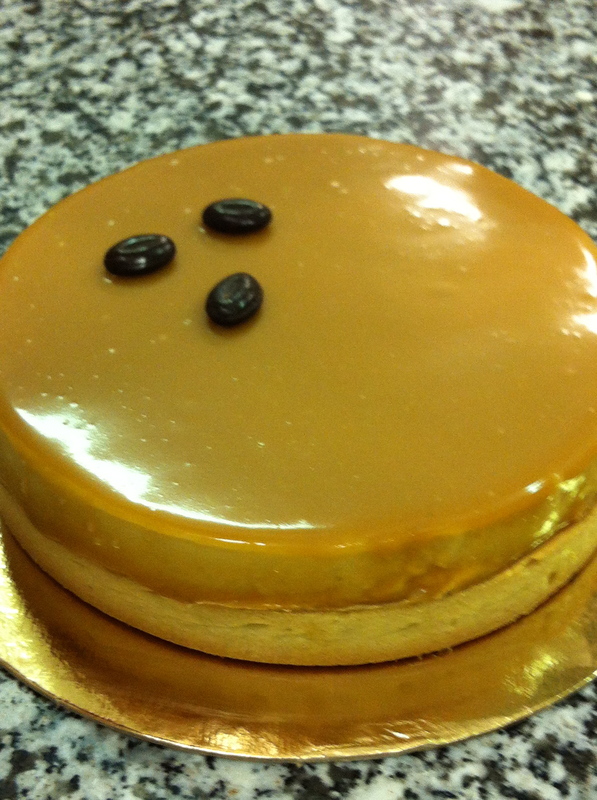 Tarte au Cafe [Coffee Tart] is a delicious layering of coffee cream, spongy biscuit and ganache on a crunchy biscuit base. Then to finish a coffee glaze which gives gloss, and even better has a toffee stickness to it which has you licking your finger tips. 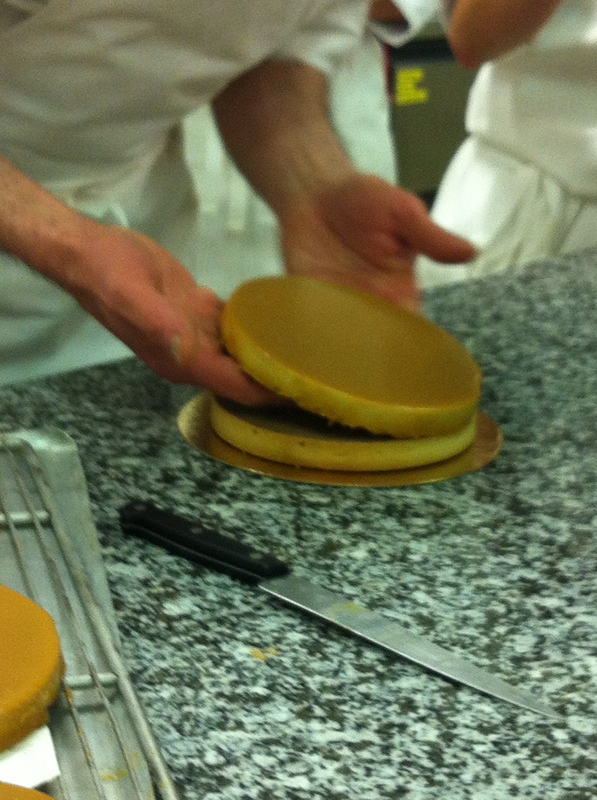 Here is a very brief view of Tarte au Cafe in the making, it’s more like a revision for me. 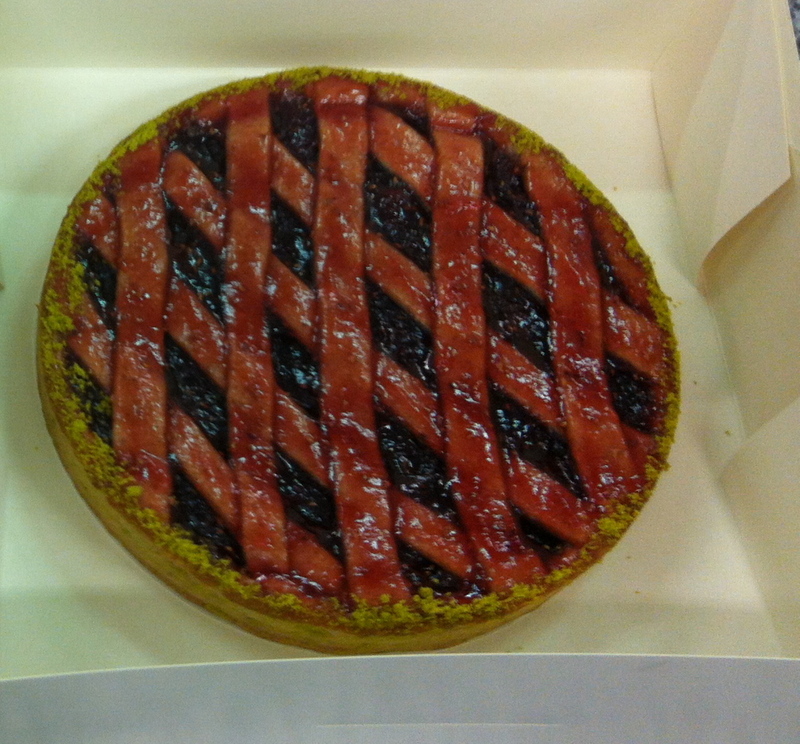 from Pierre Hermé reproduced by Ferrandi Pastry Chef, Didier Averty . Combine the creamed butter, powdered sugar, and almond power in a beater using the paddle attachment. Add the vanilla and eggs and blend. Add the salt and flour. Turn out of the beater and chill. Make an infusion with the coffee and warm cream. Add the caramel, the granulated sugar, the gelatin and stir into the warm cream. Combine well and refrigerate until chilled. 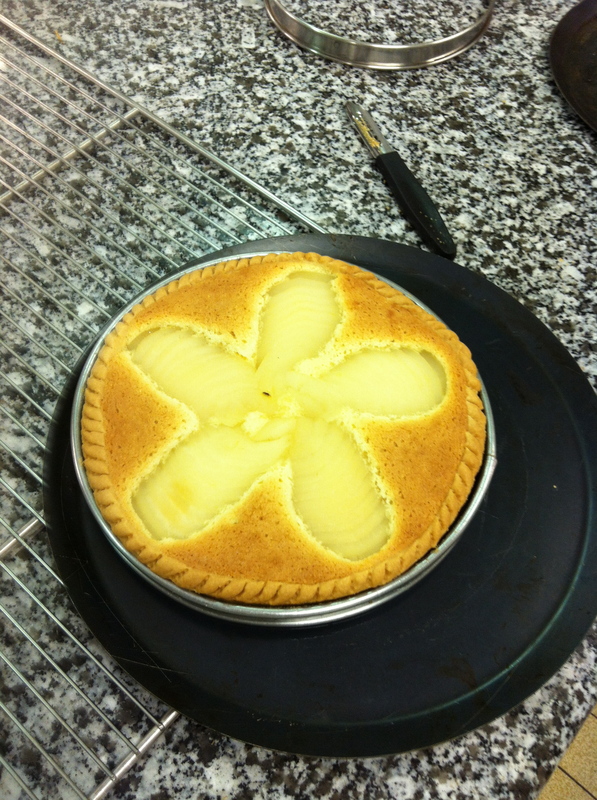 Mold into lightly heated tart rings (17 cm). Whip the egg whites with the sugar. Add the yolks and inverted sugar and stir for several seconds. Incorporate the sifted flour and starch into the mixture. 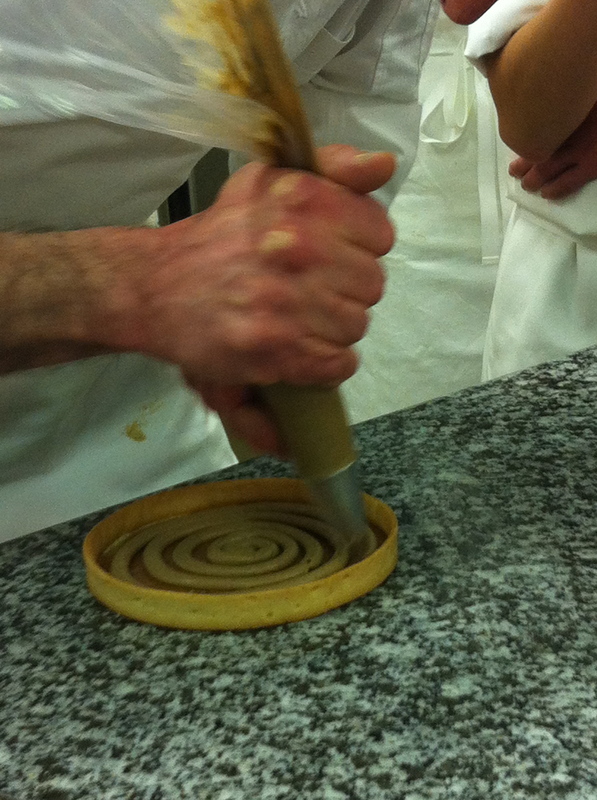 Pipe the mixture into spirals (18 cm) with a pastry tip. Infuse the coffee in the warm cream. Pour over the chopped chocolate one third at a time, stirring well after each addition. Boil the cream and pour it over the white chocolate. Mix as for a ganache. 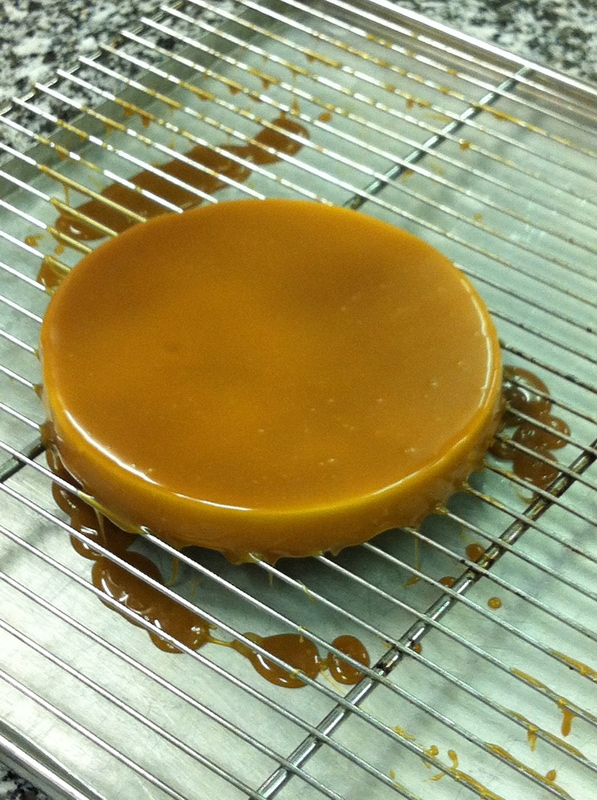 Heat the clear glaze and combine with the glucose, sugar syrup caramel and the coffee extract. Combine with the ganache and mix. Correct the color with the food coloring. Roll out the dough, fit into 20 cm tart rings, and blind bake until lightly browned. Make the coffee whipped cream and mold it into rings. Remove from the rings and freeze. Pour a little of the coffee ganache over the bottom of the precooked tart shells. Soak the biscuit cuiller with strong coffee and place in the tart shells. 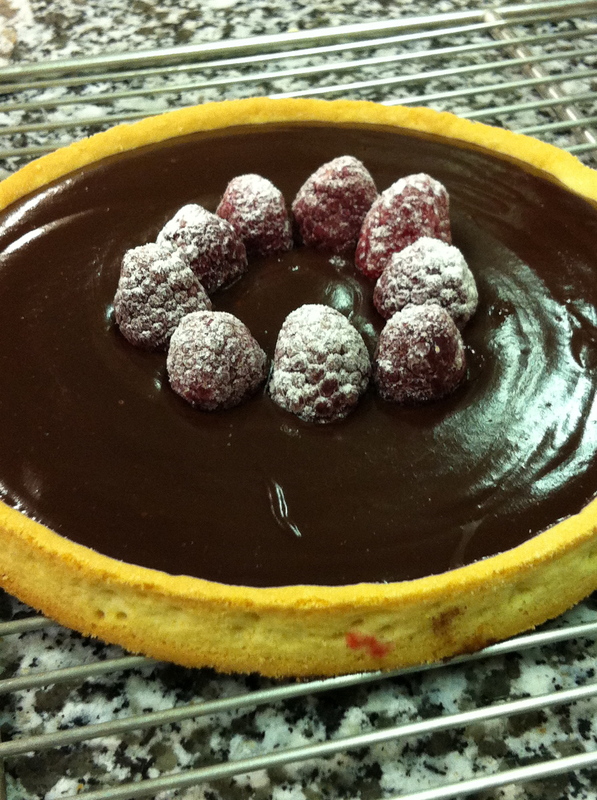 Press down and cover with the ganache, until even with the top edge of the tart. Glaze the disks of frozen whipped cream with the coffee glaze at 38/40°C and let drain for a few minutes. Trim off any drippings and place on the tarts. 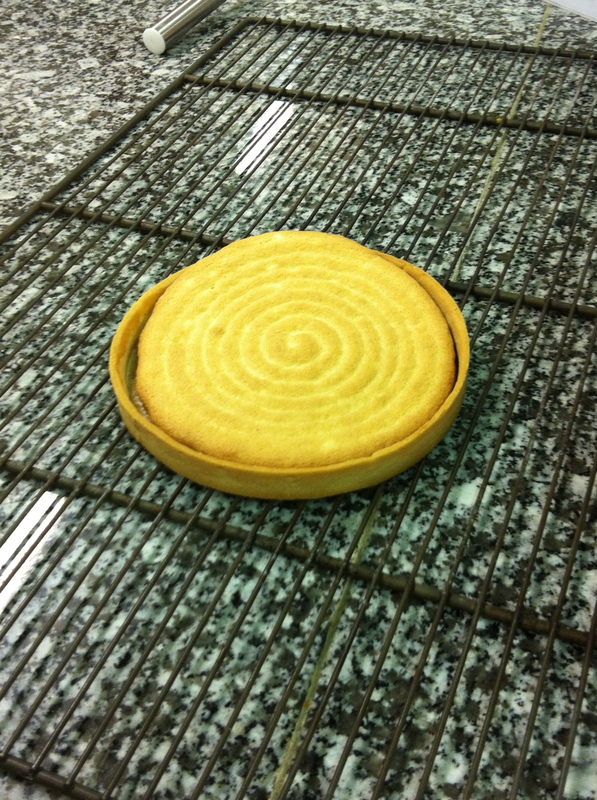 You can find Pierre Herme’s recipe for TARTE INFINIMENT VANILLE in his book Best of Pierre Herme. Note: This recipe is taken from the cookbook Anglo Patisserie created by Pastry Chef of Ferrandi, Didier Averty. The recipe may change depending on the direction of the chef. Updates by the Chef to this recipe are possible. The recipe in this post is the recipe that was created at the time of making. Dacquoise is a light almond chewy sponge biscuit used as a base for an entremet, or used as a layer within an entremet or tart. Sift the almond powder and the icing sugar together. Chop the nuts very fine with knife and mix with the almond powder and icing sugar. Whisk the egg whites with the sugar added in 3 parts. Fold in the almond powder mixture with a flexible spatula. Pipe with a pastry tip size No.8 or N.10 in the form of the tart ring. Remove from oven when moist, lightly coloured and firm. 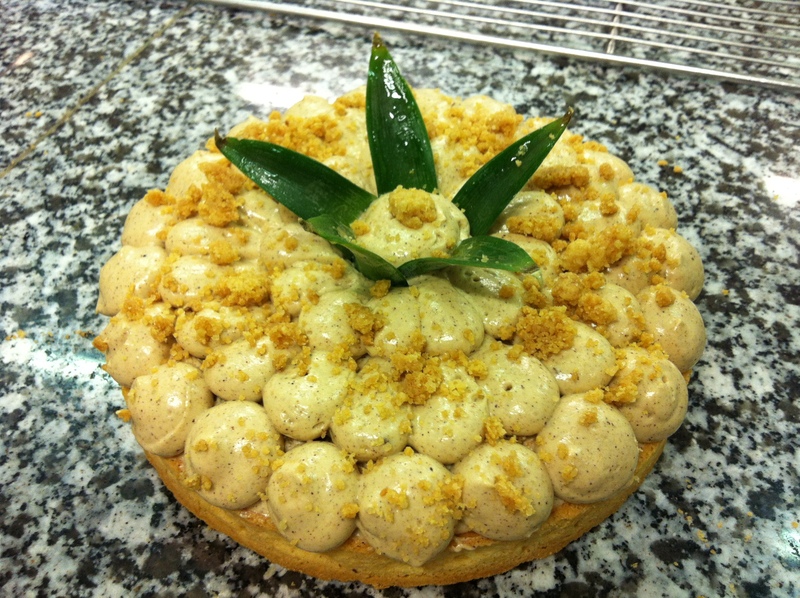 This recipe is from the student class recipe book, Anglo Pastry 2013, created by Chef Patissier, D. Averty of l’ecole FERRANDI . The recipe can be subject to change at the discretion of the Chef. The success of this recipe depends on an number of factors such as the quality of ingredients, temperature of ingredients, kitchen and appliances, skill and knowledge of the student. TEVA presents Le Gateau de mes Reves with Christophe Michalak demonstrating coconut DACQUOISE. 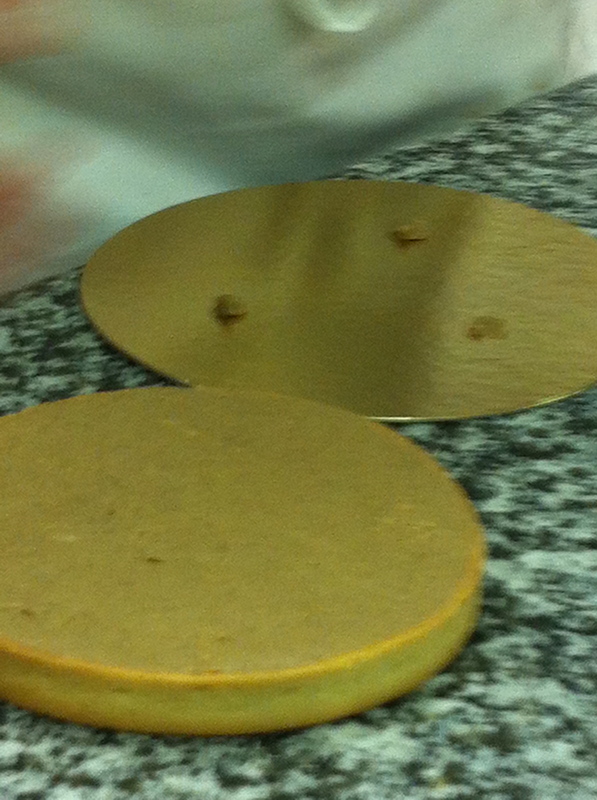 CACAO BARRY presents Arnaud Larher MOF and Philippe Bertrand MOF explaining hazelnut DACQUOISE.